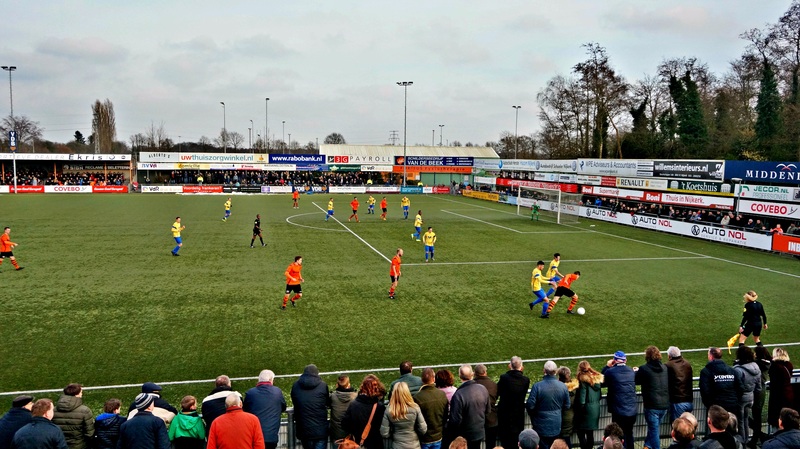 With Sparta Nijkerk and NSC I was off to visit a derby between 2 clubs who are actually just neighbours, just like the derby in Den Haag a few months ago. 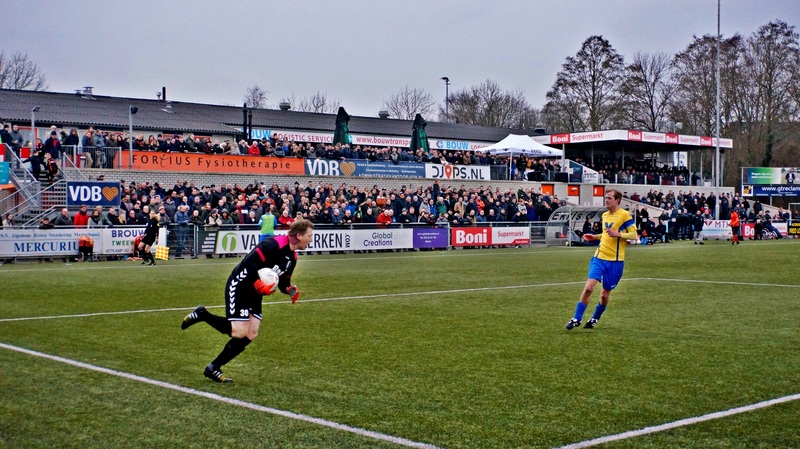 Both teams are in trouble this time, as they are both classified in the relegation zone. 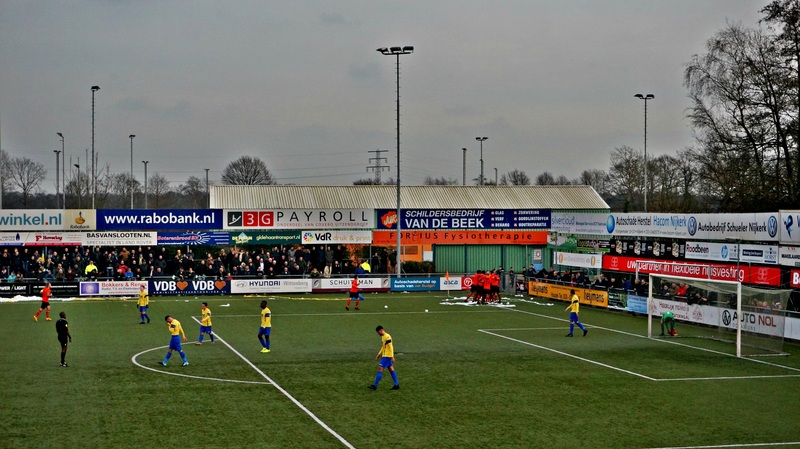 Sparta Nijkerk was founded in 1931. 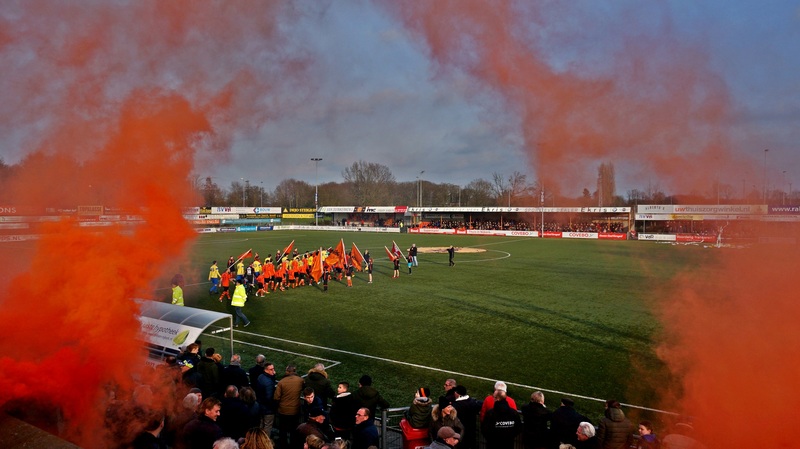 The club managed to gain promotion to the Hoofdklasse for the first time in their history, as they before always played at lower levels. 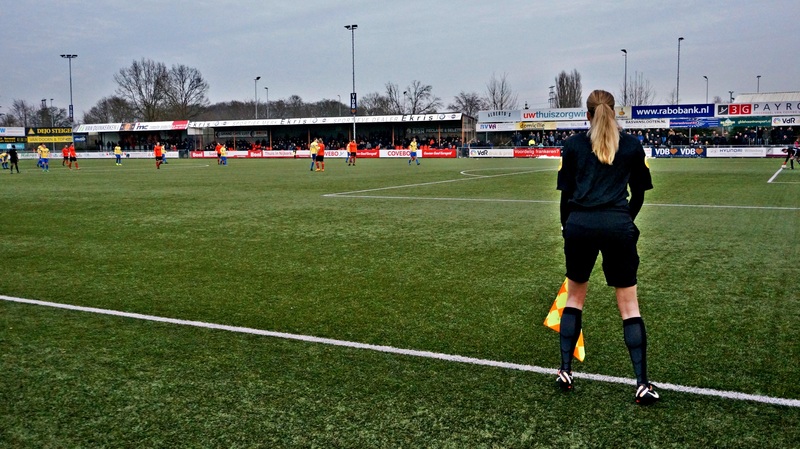 In 2011 and 2015 they even played at the "Topklasse" level, from which they relegated instantly twice. 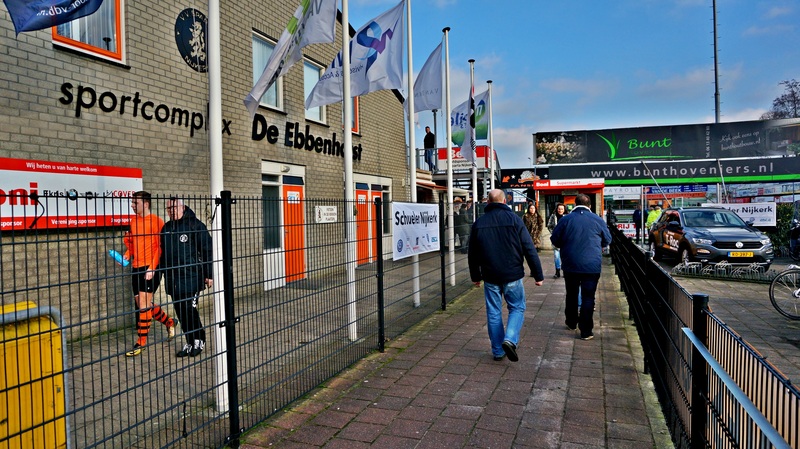 The ground, "De Ebbenhorst", was opened in 1987 and can hold 5.350 fans. 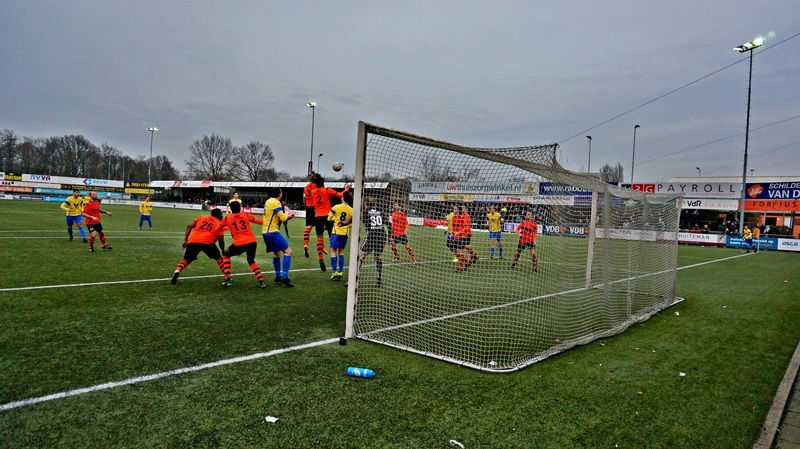 In today's game the home team was much stronger than their visiting neighbours, who even helped them after scoring an own goal after 30 minutes; 1-0. 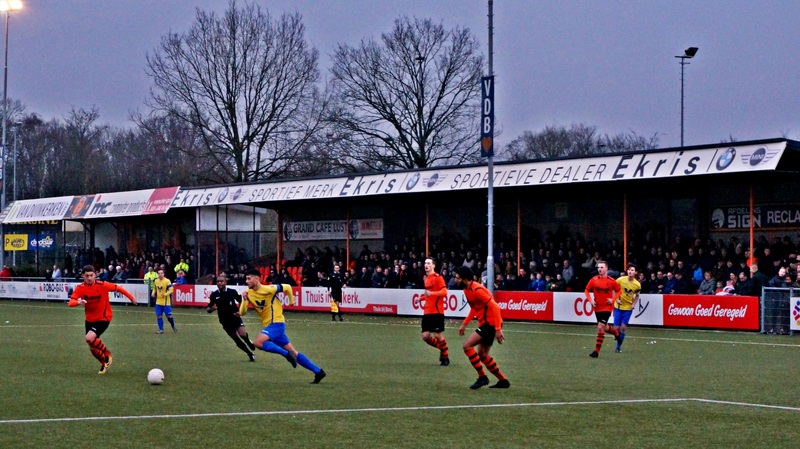 Sparta Nijkerk got reduced to 10 man after the break but still managed to score 2 more goals, including a penalty; 3-0.